The Arts Center of Cannon County has showcased artisans, actors, craftsman and music-making talent through parts of two centuries ... but now, the spotlight is turned on the actual Arts Center. Is it art imitating life, or life imitating art? That's an age-old question. But there is no question local actors at the nationally-acclaimed Arts Center do not "play around" when it's time for the next production; and it's mostly accomplished with volunteers who perform behind the curtains and stage sets. From "mop props" in a cold old damp school basement in the 1970s to present-day state and national acclaim ... the community is launching a re-dedication of the Arts Center as?? showcases arts and artisans into the new century. More about those "mop props": Mops were mandatory for early volunteers who had the dedicated vision to form the Cannon Community Playhouse in the old Veterans Memorial School's damp basement/gymnasium in the 1970s, laying the foundation for the present-day Arts Center where local stars are regularly put into orbit during theater and music productions. More about those humble beginnings: The Cannon Community Playhouse formally began Nov. 15, 1979, when a charter was filed creating a non-profit legal entity. Cannon County community civic icon Christine Dillon recalls those early days: "I remember that first production in the old (school) gym where it rained in on us, but we mopped, painted and got it going. "Today, the Arts Center is a great addition to our community ... it showcases our town to the outside world, because we have had people from Alabama and all surrounding states come attend the theater productions and view the art work created by our talented people. But it all goes back to that initial early effort began by Richard Northcutt." But there was founding activity before 1979: "Its' gestation began much earlier - all the way back to 1975 when the idea of bringing community theater to Cannon County was floated around," according to a published history of the playhouse and today's Arts Center. That humble, but historic beginning touched a creative nerve throughout the community: "I remember how exciting it was to see that old basement transformed into such a variety of scenes. With much enthusiasm and hard work, some very creative and talented people turned all those would-be obstacles into real assets, and gave us such wonderful plays to enjoy," shared the late Ruth Mason, a powerful and loyal supporter of the Arts Center. A rabbit character called "Harvey" helped give the playhouse a hop and a jump toward legitimacy. "Harvey," was like pulling a rabbit out of a magical hat, starring Woodbury businessman Mike Reed, as the first production, performed in the Woodbury Lions Club building. onnie Wagoner was there: "I remember, during the production of 'Harvey' many years ago, how Mike Reed was so popular all the children who saw the play wanted one of his prop-calling cards as Elwood P. Dowd. So, he had some printed in order to hand them out after the performance." Cora Erwin was also there: "I was 'Aunt Ethel' in 'Harvey,' and wore Gladys Hayes' fur coat and Mrs. Lila Hancock's beautiful black and beige felt hat with the long feathers. That was a lot of fun." "Harvey" may have served as a launching pad of dreams, but the reality of a 'for real' Arts Center didn't happen until community leaders such as the late Bill Smith put his shoulder to the playhouse plow by donating the five acres of land at 1424 John Bragg Highway where today's Arts Center hosts stage productions along with art shows, book signings, crafts fairs and the seasonal Farmer's Market. Legendary Woodbury Lions Club member Austin Jennings, who formerly headed the worldwide Lions organization, describes the Arts Center's importance: "It's the number one asset of Cannon County ... making our little county known nationwide for our artisans, who work with their hands to create useful crafts. "As a former board member at the Arts Center, I support and attend all the theater productions. When I go, I notice that two-thirds of the folks seated in the theater, are not from Cannon County. That's good in one way, but I wish more local folks would help support the Arts Center that helped Woodbury be recognized as one of America's top 100 small town art communities. "Mr. Bill Smith donated the land, and prescribed that the original part of the Arts Center be constructed in the shape of a barn, in case the Arts Center didn't go over," confirmed current Arts Center Executive Director Neal Appelbaum with a smile. Appelbaum conducted a tour of the present-day center, starting in the conference room where "brain storms" and "planning sessions" take place for future productions and artisan exhibits in the adjacent Marly Berger Gallery, the late wife of Sol Berger, a historic (deceased) businessman of Cannon County. "Berger daughters, Sandye and Renee continue as active supporters of the Arts Center," credited Mary Wilson, an employee of the Arts Center for more than 20 years, who often acts and directs in theater productions. "We're grateful for the continued interest and support of Renee' and Sandye," added Appelbaum. "The Gallery is a popular and intimate space for our artists' creations to be viewed by the public. "One of the most important shows in Cannon Hall in 2015 was historic portraits of families and events from throughout Woodbury and Cannon County," accounted Appelbaum. "Adjacent to our popular Gallery, we're renovating our restrooms for comfort and convenience of visitors," added Appelbaum. "Our (permanent) White Oak Crafts Shop showcases wood crafts and paintings by local artisans, and books by local authors such as Dr. Michael D. Doubler, the great grandson of Uncle Dave Macon. The Crafts Shop is always popular with visitors who came to our more than 200-plus theater productions down through the decades." Adjacent to the Crafts Shop are offices of Cannon County Chamber of Commerce, staffed by Carolyn Motley. "Carolyn and the Chamber helps introduce our community and the Arts Center to visitors who come to Woodbury for the first time," Appelbaum credited. Longtime employee Carol Reed, in charge of marketing and grants, also helps promote the Arts Center and activities. Cannon Hall, with its ample space and 30-foot ceiling, regularly showcases art work and receptions, including weddings, plus there is a permanent White Oak display being built which will be completed in April of this year. 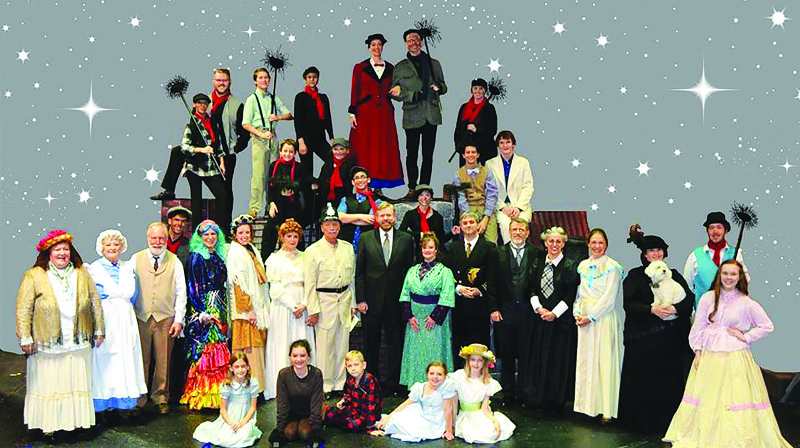 Down through the decades, Arts Center productions have proved popular with children. "Our current big theater production is 'A Year with Frog & Toad' attended by thousands of school children from throughout Middle Tennessee," confirmed longtime Arts Center employee Scarlett Turney. "Our facility is packed today with children." "Frog & Toad is our first stage production of 2016, and is likely the first live theater viewed by most of our school children," added Appelbaum. 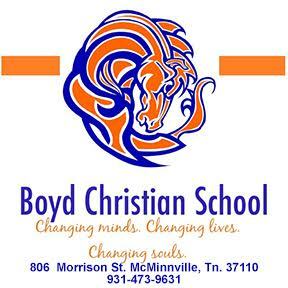 "We encourage involvement of area schools. Our old sound board, for example, is going to an area high school and its theater department. "Stage productions are performed in the (the late) Wilma Adams Theater. Her niece, Mary Ellen Smith, is headlining 'Always Patsy Cline' coming to our theater in a few months." Acts at the Arts Center have varied from Jason Petty, nationally-acclaimed impersonator of Hank Williams Sr., to the popular Leroy Troy and the Tennessee Mafia Jug Band. Petty and Hank packed the house in September 2015. That performance was attended by a female audience member who suffers from Alzheimer's. "The music and lyrics brought my ailing friend back into the present. While Jason Petty was singing Hank's ballads, my friend and I were 'singing' right along with him," described Pat Whittle. "It was better than having church for my friend and her husband, who witnessed his wife remembering all the songs and lyrics being performed on stage at the Arts Center." The Tennessee Mafia Jug Band holds the record for groups being repeatedly invited back to the Arts Center. Back stage in the 18,000-square-foot building is seldom viewed by the public. "We have a full wood-working shop, headed by James Foote and Yaron Schweizer, where our sets are constructed," Appelbaum accentuated during his tour. "Last year, we had more than 240 local people, mostly volunteers, involved in our in-house productions, including actors and set builders. The work shop was the second addition to our building. We average building sets for nine shows per year." It seems every inch of space in the Arts Center is put to use. "Stored over here is our grand piano, donated by the late Wilma Adams," Appelbaum directed. "Nearby, is our over-flow dressing room, which doubles as a summer room for artful instruction and space for our clothing and costumes." As the Arts Center professes into a new century, the old adage of "The Show Must Go On" proves prophetically accurate.